Eintracht Frankfurt will host Inter Milano tonight at Commerzbank-Arena. The match is for Europa League last 16, first leg. Home team are likely to stick to their attacking style of play. After all, they have been over 2.5 goals scored in 9 of Eintracht Frankfurt‘s last 10 games for this competition. The Nerazzurri, on the other hand, have won their last 3 matches for Europa League and probably they will not continue their winning streak tonight, but they can score. And given that Eintracht have scored at least 2 goals in their last 11 matches for Europa League, we can have a well-paid Over 2.5 goals tonight. Τhe Russians are tough to beat at home. Given that including qualifiers, Zenit have won all six of their home games in their Europa League campaign. the hosts can and will grab something from tonight’s match. The Spanish side will be extremely low in confidence after another defeat at the weekend against Alaves for LaLiga. They still sit in the relegation zone on their domestic competition. Probably if they will be eliminated by Zenit will not be their biggest problem. Or concern. So we will take the home win here. Rennes impressively knocked Real Betis out in the round of “32”, despite being regarded as underdogs in the tie. The club have never been so far in European competition. You can imagine the excitement of the whole town about tonight’s clash. Tonight they will host Arsenal at Roazhon Park. The Gunners are favourites to qualify to the next round, but tonight isn’t going to be easy for the London side. After all, Arsenal have only won two of their last 10 away matches in all competitions. We believe that they can score though, so we won’t risk putting our money on any side. Instead, we will go for the BTTS option. Napoli suffered their first defeat on home soil this season at the weekend after losing 2-1 to Juventus. Napoli could take the draw, but they lost a penalty at the end. Tonight they are hosting a real solid team, Salzburg. The Neapolitans are one of the firm favourites for the Europa League this year, but tonight they do have a very difficult task. We believe that they can win, but not with a clean sheet though. After the Carabao Cup final defeat, the Europa League title is the only available for Chelsea this year. Tonight they host Dynamo Kiev at Stamford Bridge. The Ukranian side have only lost one match in the Europa League this season and are unbeaten on the road. 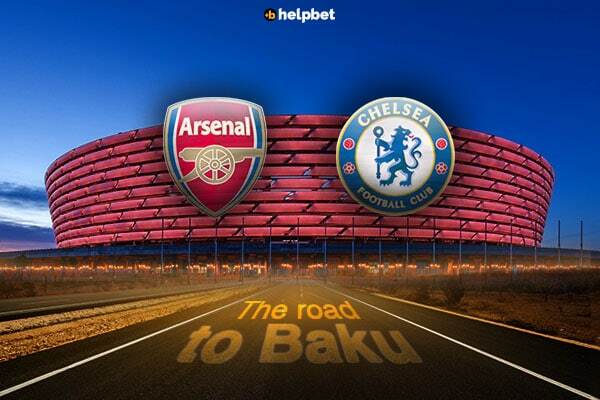 But they can’t stand in Chelsea’s way to Baku. Especially tonight Dynamo will play without their key offensive players Fran Sol and Artem Besedin. An easy win is predicted here for London Blues, and we will combine it with over 2.5 goals.